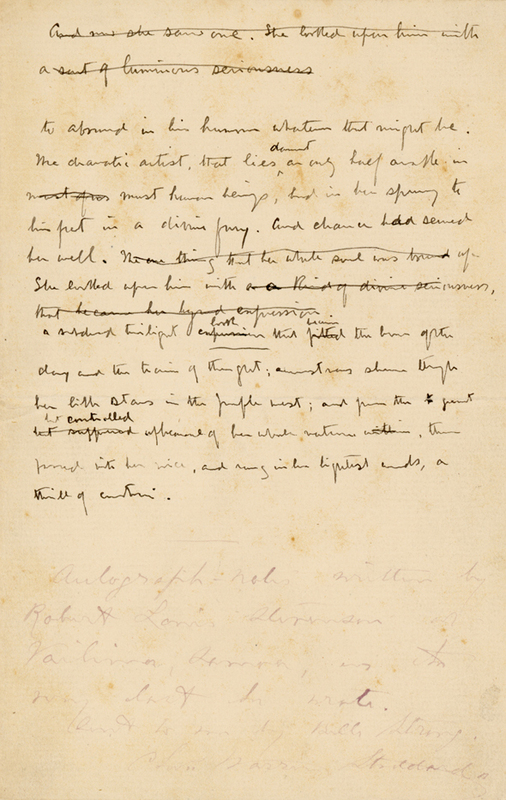 The RLSM archive contains a large holding of original manuscripts, letters and notes produced by Robert Louis Stevenson, his family and friends. From Stevenson himself, the museum holds over fifty manuscripts, over a hundred letters, and several notes and signed pieces of ephemera (canceled cheques and the like). 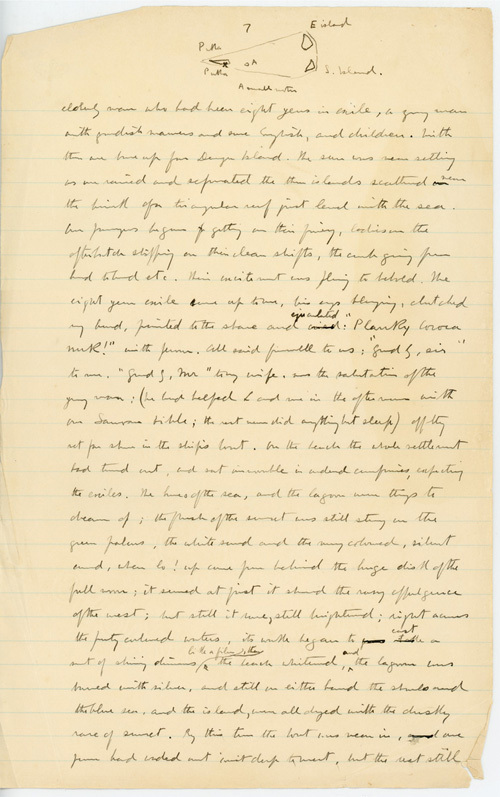 Also included in the archive are hundreds of original letters and notes from Stevenson’s family and friends, particularly a large collection by his wife Fanny Van de Grift Stevenson, his mother Margaret Stevenson, and his stepdaughter Isobel Field. There are also literary manuscripts by Stevenson’s wife, stepdaughter, father Thomas Stevenson, stepson Lloyd Osbourne and step-grandson Austin Strong. These include important diaries from the family’s time in the South Seas and various unpublished materials. 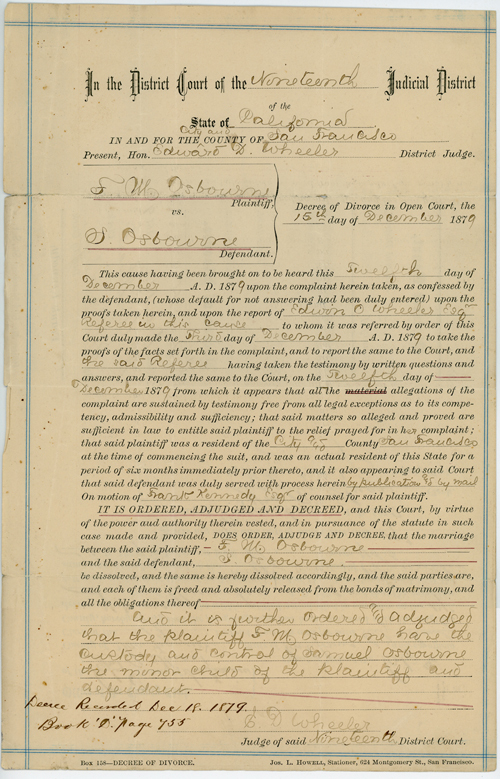 Sam & Fanny Osbourne's Divorce Decree, 15 December 1879. 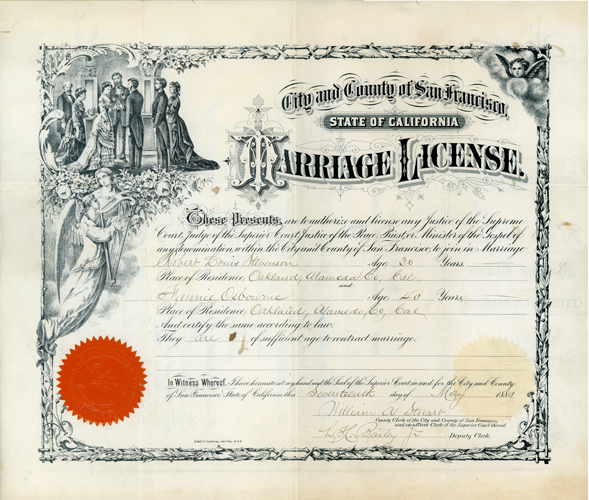 Robert Louis Stevenon's & Fanny Osbourne's Marriage License, 17 May 1880. 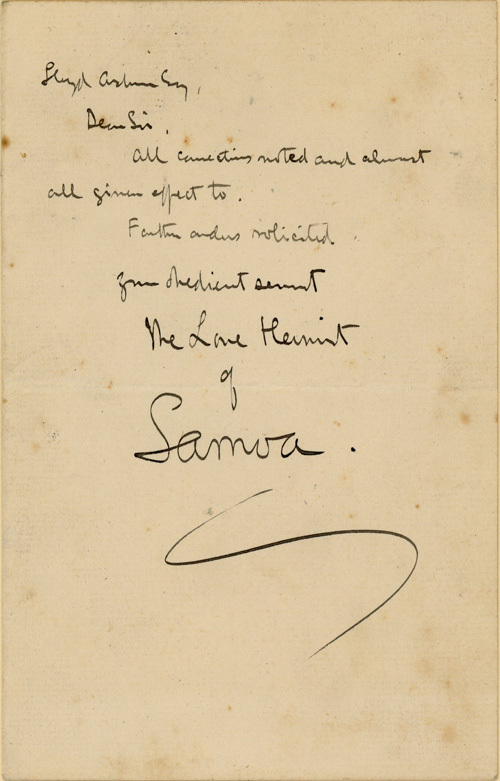 The last text written by Robert Louis Stevenson on the day of his death, 3 December 1894. Over a thousand articles and other documents conducive to research into the legacy of Robert Louis Stevenson are availible. There are hundreds of scholarly and critical essays, newspaper and magazine reviews and articles, manuscripts and research collections of a handful of past Stevenson scholars, publishing proofs and edits, auction catalogs, playbills and scripts, educational projects, popular culture ephemera, and similar types of material.